Under the proposal of the selected company, Sri Lanka Ports Authority has no revenue stream for first 15 years of the port operation. 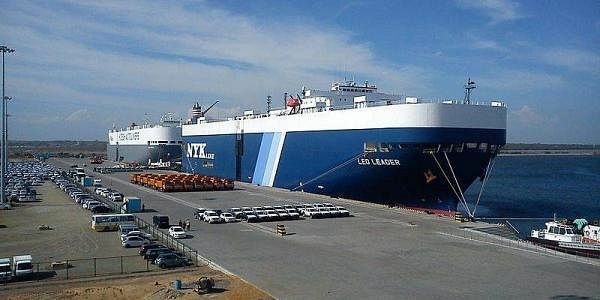 COLOMBO: A Sri Lankan Supreme Court case filed by Joint Opposition MP Vasudeva Nanayakkara, challenging the way in which the government decided to give 80 percent stake in the Hambantata port to a Chinese company for 99 years, will decide the fate of the controversial and politically explosive deal with geopolitical implications. The case is coming for hearing on Friday, Nanayakkara told Express. Explaining his objections to the deal, the veteran leftist leader said that the Sirisena-Wickremesinghe government had not followed the correct procedure. “Either they should have adopted the set procedure for such projects or sought the sanction of parliament if they wanted to have a special arrangement. But the government did neither,” Nanayakkara said. A successful public interest litigant, he had earlier won a landmark case relating to the privatization of the Sri Lanka Insurance Corporation. The Hambantota deal is being opposed by others also on various grounds. Dr. Lalithasiri Gunaruwan, former Secretary, Transport Ministry, has charged that there was no proper valuation of the proposals; no bid documents were called for; no expression of interest was sought by the government before selecting the Chinese company China Merchants Holdings Company. Eighty percent stake in the port was given on a 99 year lease to that company. He disclosed that only two Chinese companies were given an opportunity to submit their proposals for the Public Private Partnership. The first company (China Merchants Holdings) had agreed to take up an 80 per cent stake with an upfront (and full) payment of US$ 1.12 billion. The second company (China Harbor Engineering Co.) had offered a much more favorable bid to lease the free port on a 65-35 equity sharing basis for 50 years with an upfront payment of US$ 750 million plus the payment of all the charges the company had earlier agreed to with regard to the container terminal management contract. The harbor was constructed by the China Harbor Engineering Company. The government chose the least favorable bid by China Merchants’ Holdings despite the Sri Lanka Ports Authority (SLPA) having recommended the other bidder. Details of how the two proposals were evaluated have not been disclosed. Under the proposal of the selected company, Sri Lanka Ports Authority has no revenue stream for first 15 years of the port operation. But the rejected company offer had allowed the SLPA revenue stream continuously – thus benefitting both the SLPA and the country. “The objective of leasing the port was fuelled by the need for immediate funds. Therefore, though the accepted proposal offers less than the rejected proposal, it is the upfront lump sum payment which enabled it to swing the deal. This indicates the government’s lack of interest in long-term benefits.” Dr.Gunaruwan said. “The prevailing systems had been bypassed in selecting the prospective investor. According to normal procedure, proposals are subjected to the approval of a Technical Evaluation Committee (TEC) and a Cabinet Appointed Negotiation Committee, which then would be sent to the Attorney General’s approval and to the Cabinet for its approval,” the expert pointed out. After former President and opposition stalwart Mahinda Rajapaksa openly came out against the deal, President Maithripala Sirisena declared that a final agreement had not been signed. And to go into the possibility of changing the already signed Framework Agreement (MoU) he appointed his own man on the negotiating team. Meanwhile, the Chinese Ambassador, Yi Xianliang, publicly took a tough stance saying that the deal will be gone through disregarding “negative forces”. He also met Rajapaksa to convince him to support the existing deal. But Rajapaksa reportedly stood his ground saying that government should accept the China Harbor Engineering Company’s offer as it was more favorable to Sri Lanka. The Chinese envoy was told that China should have no problem acceding to this request as both companies are government-owned. However, Prime Minister Ranil Wickremesinghe is insisting on the existing deal on the grounds that the government needs cash to repay debts left over by the Rajapaksa regime. The China Merchants Holding Company is making an upfront payment of over US$ 1.1 billion he points out. And according to Dr.Karunasena Kodituwakku, Sri Lankan Ambassador to China, the China Merchants Holdings Company has experience of running ports which the China Harbor Engineering Company does not have. But since both President Sirisena and opposition leader Rajapaksa are looking at the issue from the point of view of the coming elections, they are hoping that the Supreme Court will quash the existing unpopular deal.